On the right is shown a stained Cedar wall plaque with engraved art (2.5D) blackened, and cut-out high shine aluminum letters overlaid on the sign, for contrast in color, reflectivity and texture. 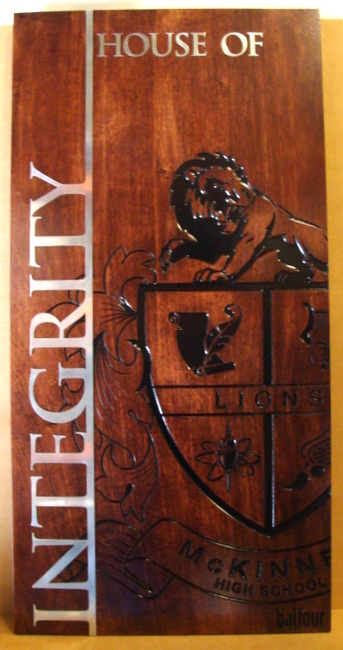 This beautiful and dramatic wall plaque is designed for a high school. This sign is 24 inches high, but similar signs can be purchased in any size from 16 inches to 60 inches in diameter. It can also be customized with other text or art.